Community involvement in crime prevention programs is not something new in the city of Oshkosh, Winnebago County, WI. The people in the city, together with law enforcement agencies, share the belief that crime is a social problem that should be solved at the community level. unexpected source. 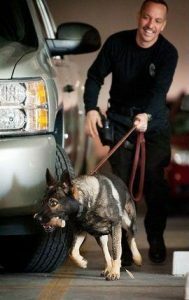 A martial arts school called Members of IMPACT Martial Arts raised a 1,000 dollars donation which was given to the Oshkosh Police dog unit in the beginning of November. This sum of money was raised mainly from the selling of T-shirts. The shirts were specially design to express empathy towards the city’s law officers for the hard work they do on a daily basis to keep the law abiding population safe.